Campers work on their crafts. Campers participate in a memorial service balloon launch. Universal Home Health & Hospice hosted Camp Braveheart at Marmon Valley Farm, Zanesfield June 14-16. School counselors from Union, Champaign, Logan and Hardin counties recommended 50 children aged 5 to 13 who experienced the death of a relative or close friend to attend. The camp is free for the children thanks to the United Way and fundraising, with meals supplied by local restaurants. Counselor Phil Forsythe said the camp is a positive experience for the campers, counselors and farm staff. They listen to whatever the children feel comfortable sharing about the loss of the person close to their heart. The Marmon Valley staff are wonderful in reinforcing the message to the campers as did the Columbus Zoo staff who brought animals for them to see. The campers do crafts, in part, to help them learn to cope with loss. They also ride horses, tend farm animals and play games. They held a memorial service before they left, ending with a colorful balloon release. 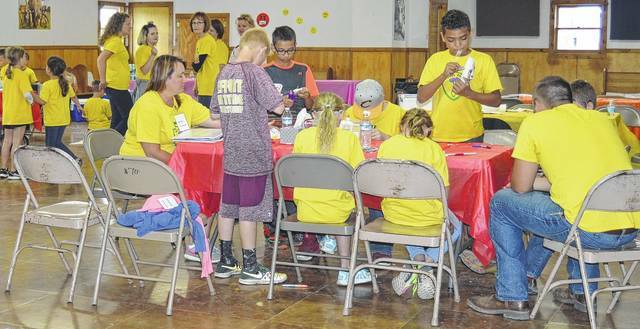 Another grief camp was held in March for teens, aged 14-18 with twelve children attending. For more information about both camps contact Universal Home Health & Hospice at 937-592-1605.